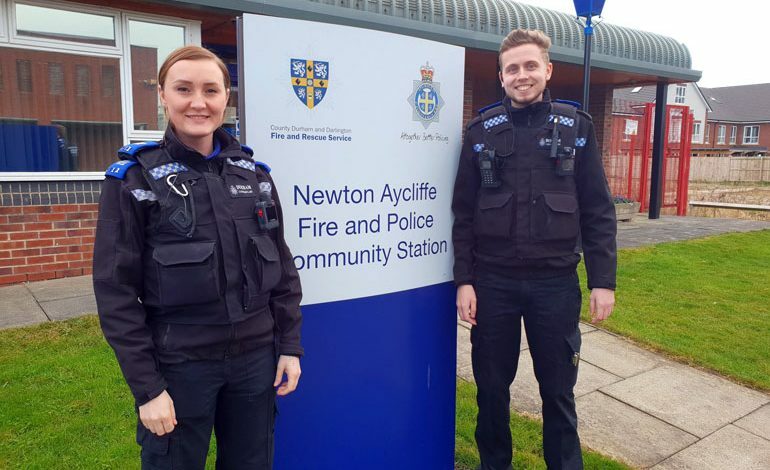 Two new PCSOs have joined the Newton Aycliffe Neighbourhood Police Team. The local force has welcomed Abi Hill who takes responsibility for the Western Area of the town and will support PC Michael Welch and PCSO Chris OBrien. PCSO Steven Kipling will cover Aycliffe North (Woodham) and Middridge, and work alongside PC Lyndon Towler. “It’s great to have them on board and they look forward to getting involved in community issues,” said a spokesperson.